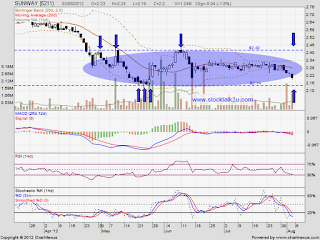 SUNWAY already break down bolinger band squeeze & facing high selling pressure..
Stochastic %K still on SELL call. Immediate resistant would be MA20 / MA50 level. 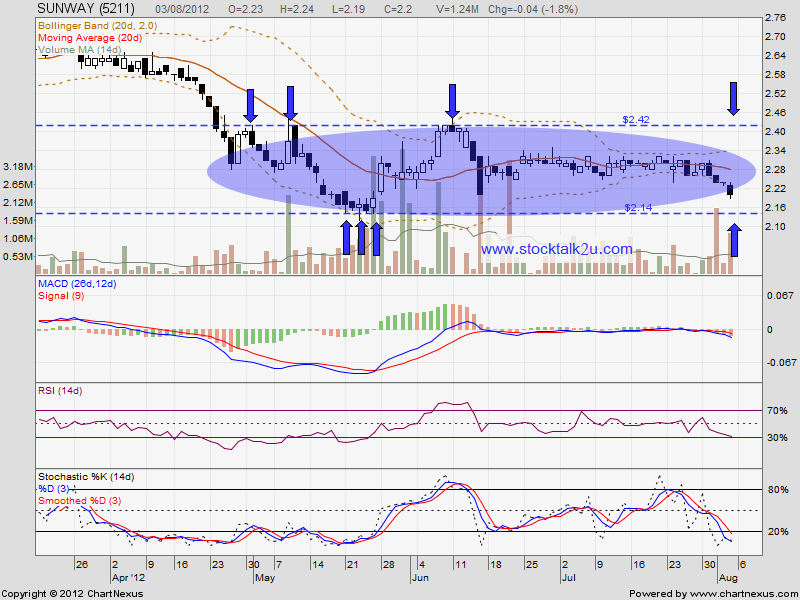 Immediate support would be RM2.14 level.